Imagine having family friends who welcome you to their mountain house in Gatlinburg, Tennessee, invite you in for a glass of wine every afternoon and bake cookies for you at bedtime. They put you in one of their best guest rooms or even in one of the family’s historic cottages and send you out to explore this Smoky Mountain resort area armed with the best suggestions for entertainment, shopping and sightseeing. This is Zoder’s Inn & Suites. Here, the Zoders have perfected the art of gracious hospitality over three generations. 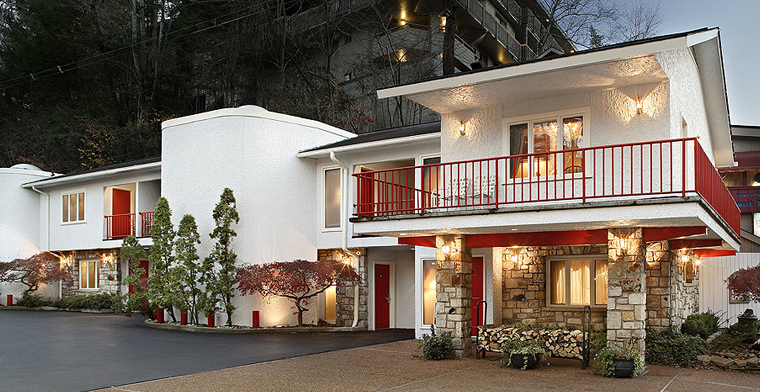 From the depression-era acquisition of acreage that now occupies the heart of modern-day Gatlinburg, this family property has grown from three private cottages to 90 guest rooms and suites, many with balconies overlooking a soothing mountain stream or the inn’s pretty outdoor pool terrace. Its Main Street location puts guests within walking distance to the town’s restaurants, galleries and shops, while its wooded six-acre setting offers just the right amount of privacy and seclusion.